Hey readers! I have an awesome giveaway today for those of you expecting your first or those of you with a baby! Quinny and Maxi-Cosi have a great deal going on right now. During the month of March when customers purchase a Quinny Moodd or Buzz stroller in-stores, they will receive a Maxi-Cosi Mico for FREE! Visit Maxi-Cosi and Quinny for more info! To celebrate, Quinny and Maxi-Cosi are offering the reader’s of Mommies with Style the chance to win their own Mico! One winner will be selected at random after March 20th. The Mico comes in such cool colors! I would love to win this for my co worker that is expecting next month. We are expecting a baby this summer, this would be perfect. I would love to win this! Thanks for the awesome giveaway. Expecting a baby in August, be tickled to win! 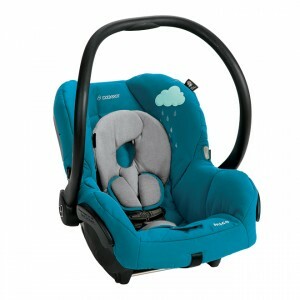 I follow you on Twitter….this is the carseat I’ve been eyeing! Would love to win!